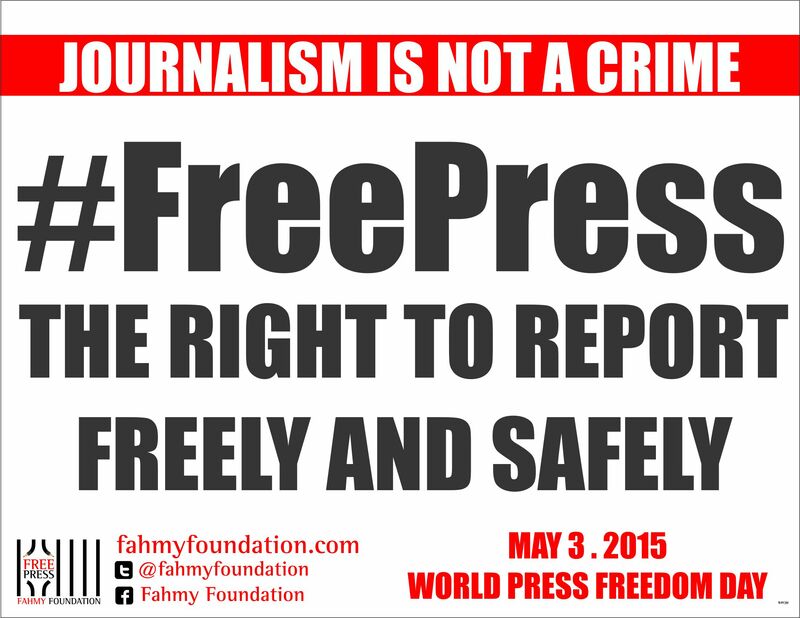 May 3 is World Press Freedom Day. I think of journalists, writers,…all those wrongfully imprisoned around the world. I think of their trauma, and their loved ones’ trauma. And I think of their courage. This year, Mohamed Fahmy, a Canadian award-winning journalist, released on bail after 412 days of wrongful imprisonment in Egypt, is leading a rally in Vancouver. He is not fully free himself – on prolonged retrial as court sessions are postponed time and again, and having to check in at a police station daily – but he is fighting to free others still imprisoned. When you’ve experienced wrongful imprisonment, or the wrongful imprisonment of a loved one, you’re compelled to do whatever you can for others sharing that experience. Because you know how all consuming, haunting, and traumatizing it is. Because you know that every supportive action cuts through the trauma fog, making freedom possible. My friend Josh Fattal was held hostage in Iran for two years and two months. I could not communicate with him during that time – his prison guards withheld my letters to him, and he often didn’t even have a pen to write with – but I could feel his captivity in my bones. And now we carry the captivity of others with us wherever we go. The Fahmy Foundation campaigns for Jason Rezaian, The Washington Post’s Tehran bureau chief, at its first Free Press Rally. Jason has been held in Evin Prison for 284 days, much of it in solitary confinement, without access to a lawyer. His family tried to retain Masoud Shafii, the Iranian lawyer who represented Josh, but Iran’s Revolutionary Court continues to block him from doing his job. They’re punishing him for bravely fighting to free Josh, and his friends Shane Bauer, and Sarah Shourd, and punishing Jason and his family and friends in the process. I ask you to support Jason and his family and friends on May 3. I ask you to support the other Fahmy Foundation campaigns featured in the Free Press Rally: Shawkan Zeid, photojournalist detained without charge in Egypt for almost two years; and Mohammed al-Ajami, a poet held in solitary confinement in Doha, Qatar’s Central Prison for almost two and a half years. I ask you to do whatever you can to shine a light on press freedom. Mohamed Fahmy, Josh Fattal, and I, along with other political prisoners and their family and friends, know what a difference your support can make. 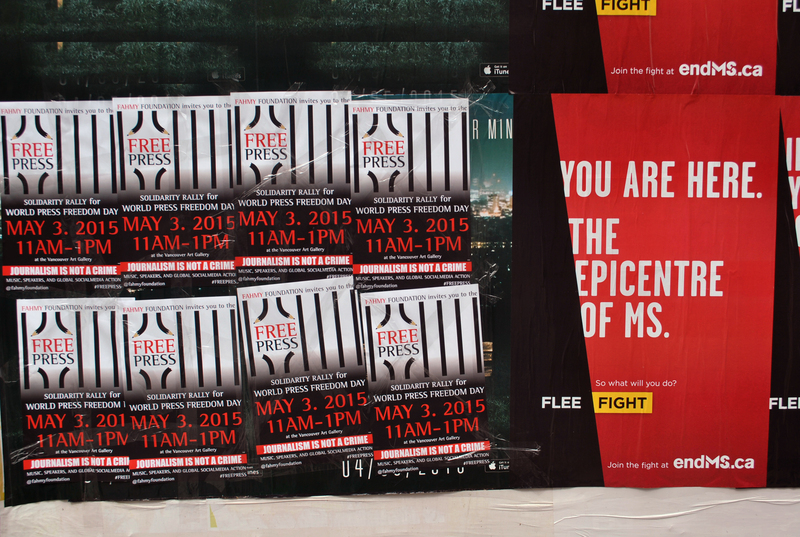 Join us on May 3, 11am outside the Vancouver Art Gallery, and online around the world.